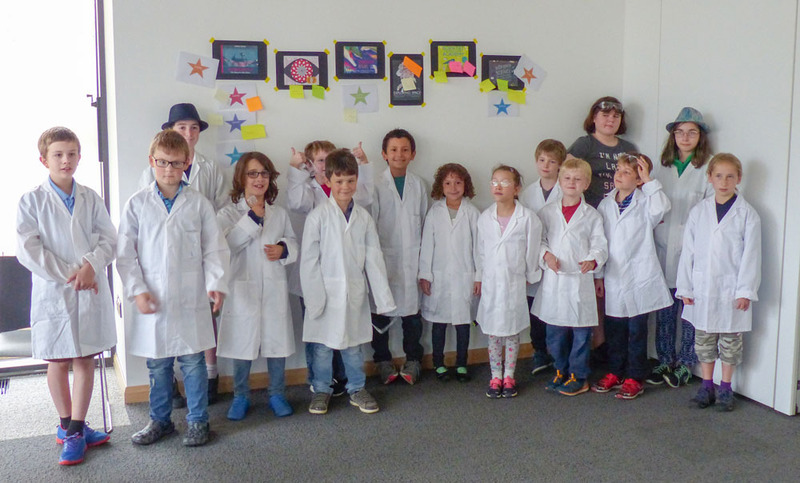 A group of 17 children joined postdocs from the LMB and the Department of Biochemistry to review science books, learn more about what it’s really like to be a scientist and try hands-on experiments at the Eddington Postdoc centre in west Cambridge. 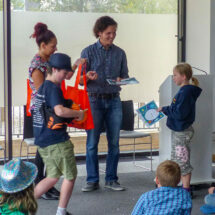 The event, organised by Juan Rodriguez Molina, a post-doctoral researcher in Lori Passmore’s group in the LMB’s Structural Studies Division, was part of the Royal Society Young People’s Book Prize, which aims to inspire young people to read about science and allows children aged up to 14 to vote for a winner from a shortlisted set of six books. Juan, together with his partner, Heidy, organised for a group of local home-schooling families to share copies of the six books for the children to read and judge them. They then joined four other researchers from the LMB and the Department of Biochemistry during an afternoon to discuss the books and what they liked about them, before voting for their winner. The 17 children, aged between 6 and 13 years old, were asked to score the books on layout, ease of reading, interest, and appeal, before giving a total score for each and picking their favourite. “Curiosity: The story of a Mars rover” scored highest in most categories amongst the group and received the most votes. “Women in Science” came a close second. As well as discussing the books and voting, the children also got the opportunity to do a small hands-on chromatography experiment to see how food colourings can be separated into different component colours, before having lots of pizza to share around. After the event, one parent said that it was “interesting listening to the children’s opinions” and another that the event itself was “lots of fun!”. One child said, “I learnt a lot about different jobs in science”. Afterwards, Juan gave the children certificates and copies of their preferred books, to give them more time to read, enjoy, and be inspired by these science books. Juan will now submit “Curiosity: The story of a Mars rover” as the home-schooling group’s selection in the Royal Society Young People’s Book prize, which will be collated along with the selections by all other participating groups across the country and the final winner will be announced at an award ceremony in November.